Whisk yogurt and honey well. Keep into refrigerator for 2 hours. Take serving glass. Pour sufficient yogurt. Put some pomegranate over yogurt. Pour mango pulp over pomegranate layer. Again pomegranate layer, put some chopped mangoes. 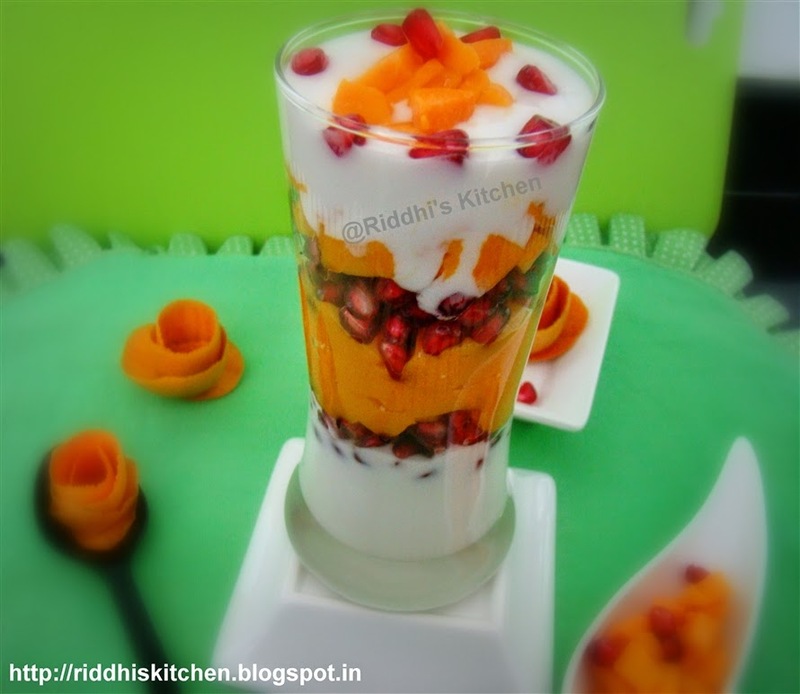 Pour yogurt and topped with some pomegranate pearl and chopped mangoes. is it?? Its very strange.. mangoes are not available in landon. anyways thank you so much :). Try another combination of fruits. and share your recipe. Such a yummy treat..Too good.